Thanks anon, at least it wasn't censored this time. Perhaps my weekly columns in Murdoch press improve with your valuable input. The iPhone has a built in writing tool for budding writers, if they are writing rubbish it automatically calls itself and deletes the poor quality prose. therock, 31 Jan 2010an arrogant comment. What makes you think non iphone fans have never used an iphone and the... moreiPhone fans do tend to show their love for their phone, but how is that any different from showing love for a dog or car? They like their phones and obviously have some reason to celebrate. It's not just blind loyalty to a brand, it's a love and appreciation for a good product that does exactly what it says it will, even if that doesn't include fm radio or multitasking. There is no best phone. As for durability, I've known many people with all kinds of bar phones, sliders, and touchscreens, and they've all complained of broken screens. I've never had a broken screen on iPhone in 2 years because I take care of it. If you drop your phone everyday, either buy a case or don't. It's advanced hardware and it wasn't made to be dropped. 10Mbs doesn't exist anywhere in the US, we've only just started getting 7.2, so 10 would be useless here, and most other places. I am completely open to other phones, but until one comes up that could truly replace this phone for what it is, and not some feature filled trainwreck like the n97, then I'd gladly switch. It's been 2.5 years and I have yet to try a phone that puts the iPhone to shame in what matters most. Anonymous, 31 Jan 2010its funny how people say, iPhone 3GS is the best phone or Nokia N900 is the best. folks lif... moreIt's more a response to those who think they know what is best for others, who go on and on about how bad other people's phone's are. They are insulting YOUR decision own whatever phone you want. Allan, 31 Jan 2010I have a job and i dont need an iphone.As you can see I'm rarely on gsm arena anymore.You shou... moreThat's because the iPhone has such a good browser that I can jump on here posting comments from anywhere at any time, within seconds. You should hear all the people with Blackberries whining at work where they brought in a specific site for our job, it doesn't work on Blackberries, iPhone's no problem. its funny how people say, iPhone 3GS is the best phone or Nokia N900 is the best. folks life a life, choosing a phone is a matter of preferences. people ask yourself, which feature is most appealing to you? 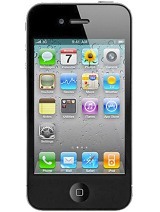 just for like example will u buy an iPhone 3GS if u want to have a Phone specialized in photography? will u buy a Nokia N86 8MP if ur a person who likes emailing and business minded person? its all our choice so stop fighting about choosing phone this just shows how little your brain is. can you tell me where to find the speed dial setting? does it has speed dail? wh1tef0x, 31 Jan 2010i have to comment on other phone user, please, if u like to comment about your brand go to you... moreAnother person who agrees with me! Thank you! Sandy dan, 30 Jan 2010hahaha , exactly .. most of the peoples here don even know wat is iphone. How can they possib... moreDont waste your time comparing coz you're comparing a touchscreen iPhone and a N86 non touchscreen. Ridiculous. Anyway do you own a Mac to know what Mac is known for. I own 6 Mac hardware from iBook to the MacBook Pro. And let me tell you that I'm dissapointed with the iPhone 3Gs. 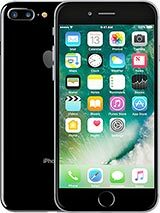 Apple is known for their fast processors, multitasking without hangs unlike Windows, new technology and advanced graphics. 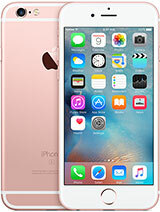 But this iPhone cant do miltitasking, processor is the same as Samsung Omnia HD and Nokia N900 and Graphics should come with a sharp and good screen like their computer hardwares. Technology wise losing to other phone manufacturers like no secondary camera when all their MacBook and MacBook Pro all comes standard, Single speakers with not so good sound when they have the famous iTunes which I love, outdated camera when their iSight is beautifully sharp, and not so attractive design which have been in the market for few years. I really hope Apple do pull up its socks and start competing as I really admire them and a user for more than 15 years. 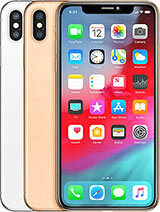 I would love to own a iPhone but with the current Iphone and me using their Computers its really world apart in technology. I'm not comparing the two but the technology and design shouldn't be so far. Maybe I've been spoilt by their computers. Good luck. Anonymous, 31 Jan 2010What you heard is true. Iphone is designed without making it perfect in mind. They just make a... moreI dont think iPhone is only for rich people. Nowadays even the janitor, chauffeur is using the iPhone. Not that I dont respect them but what Im trying to say is that its not an expensive phone only for the rich. You just need to sign up with a telco and they sell it to you cheap. 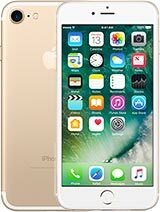 Some even give away free iPhone when you sign up. Gone were the days when people say that Apple products were for expensive people. I'm an Apple user for almost 15 years and I've seen the price drop like crazy so much so that now the MacBook with high specs may even be cheaper than some Windows laptop. Which was vice versa years before. Maybe even some of the so called ifans heard of Mac. Anonymous, 31 Jan 2010Get a job and an iPhone.I have a job and i dont need an iphone.As you can see I'm rarely on gsm arena anymore.You should do the same.You're on here 24/7. No BIG Deal I do own a Iphone 3gs 32G, But I must said it's because Windows phone was let down by complicated OS and Palm was slow in catching up with the mobile market and symbaim is a total failure! So "At the mean time" Iphone seems to have a upper hand. Sandy dan, 30 Jan 2010hahaha , exactly .. most of the peoples here don even know wat is iphone. How can they possib... moreThe n86's camera is bad? are you blind. probably a defect or your a bad phtographer. The iphone's camera IS the bad one. the 3g signal of the n900 is faster. Tansen, 30 Jan 2010I don't know why people come here to talk about HTC HD2 or N97 or N900... I guess some people ... morean arrogant comment. What makes you think non iphone fans have never used an iphone and they are feel threatened due to their comments about it? 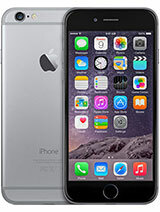 I have used and owned the iphone and didn't like it. I PREFER my smartphones to have more features and ofcourse a good UI. Via firmware/software update, the UI can always become faster...an example is the 5800 with firmware version 40. 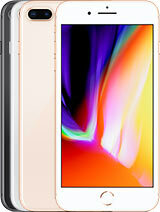 Non-iphone fans are simply stating to the ifans that there are other touchscreen smartphones out there because ifans tend to boast about the iphone too much. I have friends that complained to apple about their iphones because the screen easily cracked. although the UI is brilliant, the durability is low. Speaking of the n900, it has...I think...a 10 mbps 3g signal and more features. Anonymous, 30 Jan 2010"with your half finished phone" I dont own the htc hd2. I just made a simple post re... moreGet a job and an iPhone. 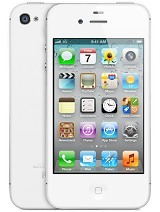 Total of 13924 user reviews and opinions for Apple iPhone 3GS.